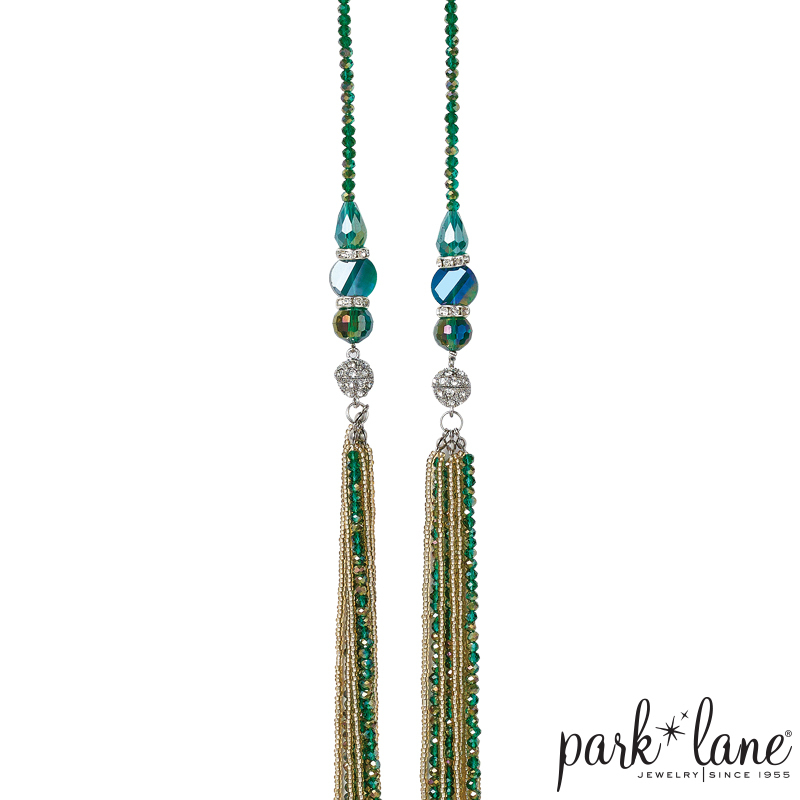 Long, short, straight, asymmetrical…There is no limit to the ways one can wear this gorgeous, versatile necklace. 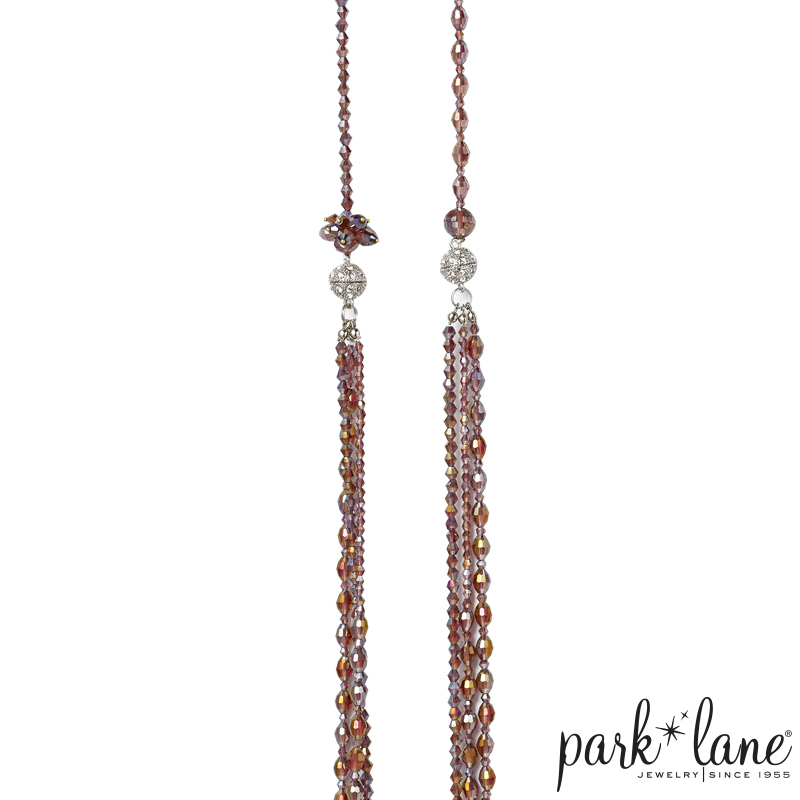 Multiple strands of mauve-colored aurora borealis faceted glass beads create a stunning necklace. The magnets inside the crystal-encrusted spheres separate to allow the necklace to shorten, lengthen, or layer.